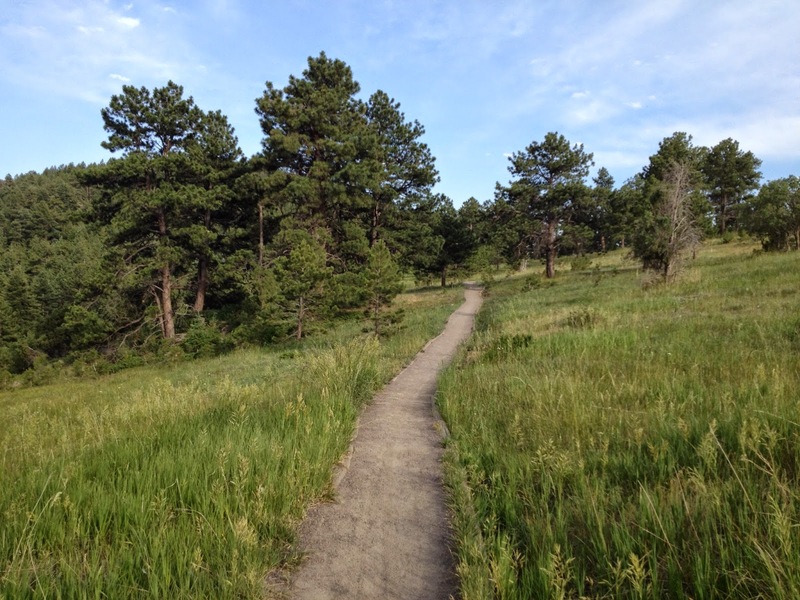 Directions: From Denver, take I-70 W to C470 East to 285 South. 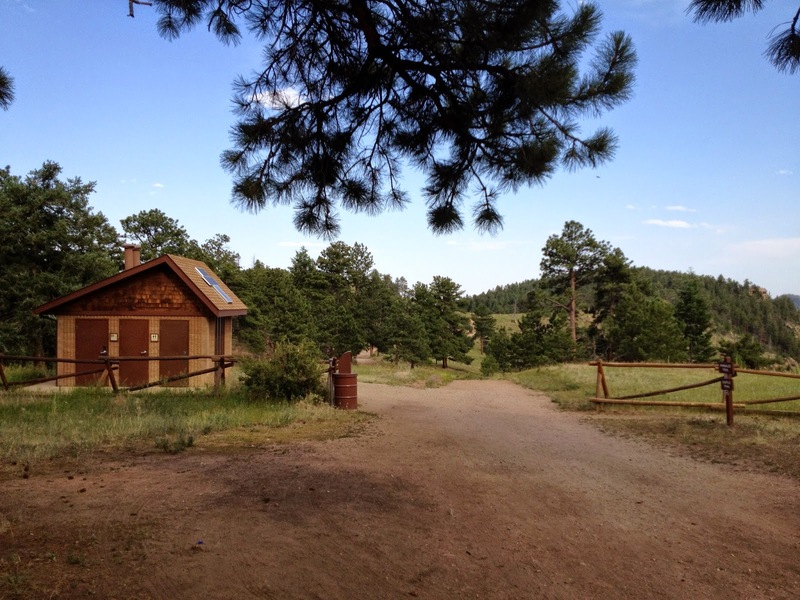 Make a right on Parmalee Gulch Road. 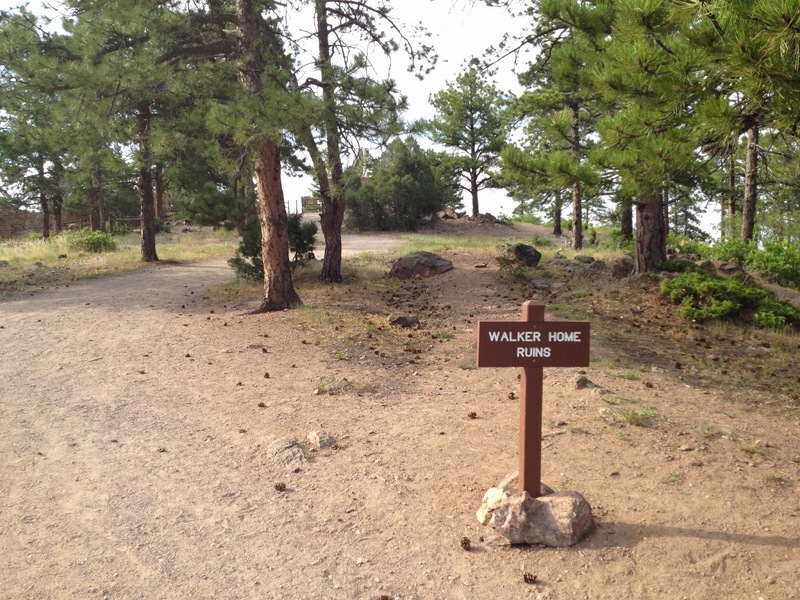 Follow the signs to the park. 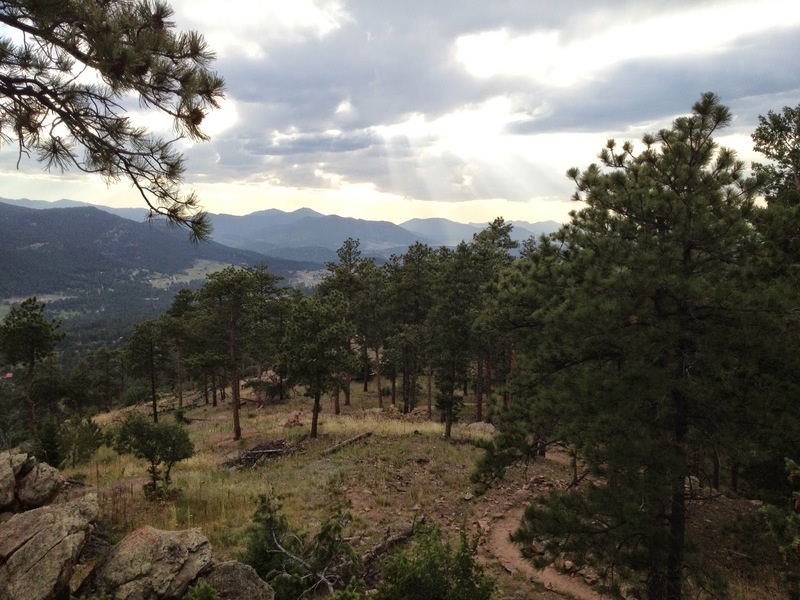 This hike hits the three main attractions on the upper/west side of the Park. 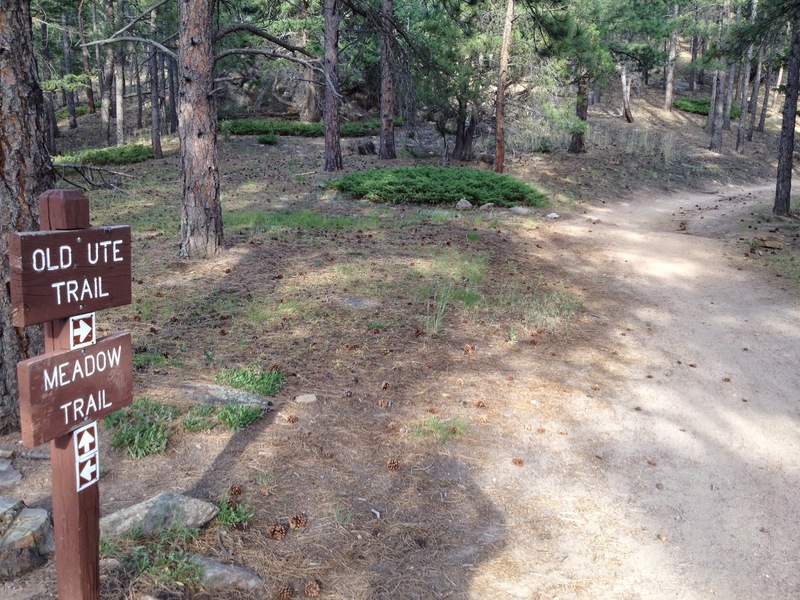 If you want a shorter hike from this trailhead, any one of these attractions can be broken down into it's own hike. 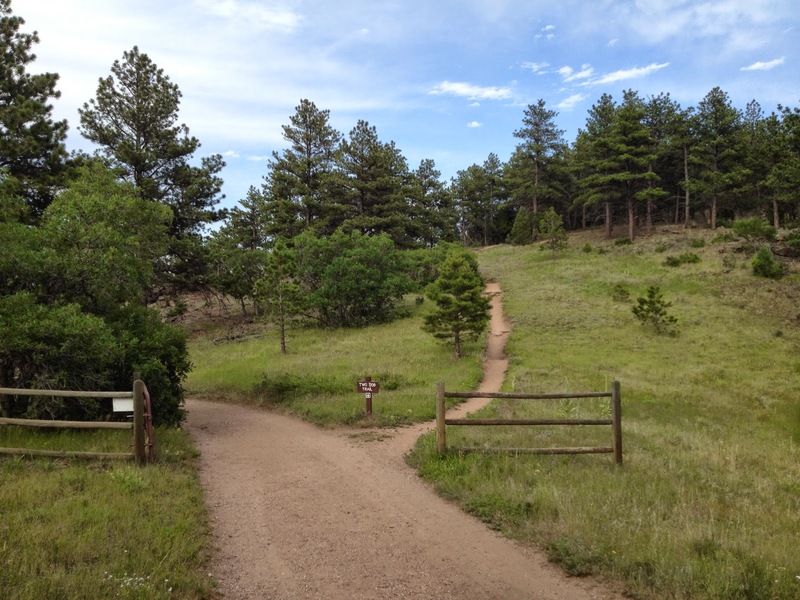 The hike to the Two Dog Trail is 3.2 mi (RT); the Devil's Elbow is 3.4 mi (RT); and the hike to the Lookout Tower is about 1.5 mi (RT). 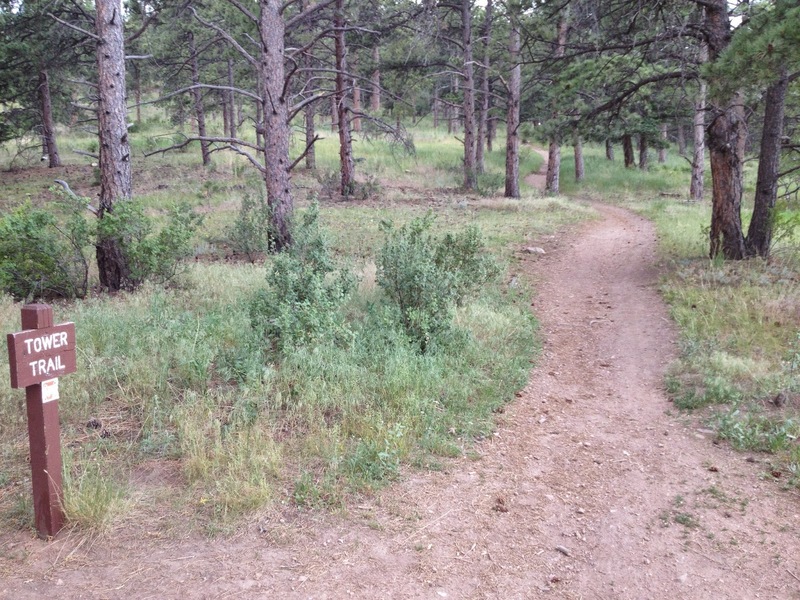 You can also make any combination of these trails that you like. 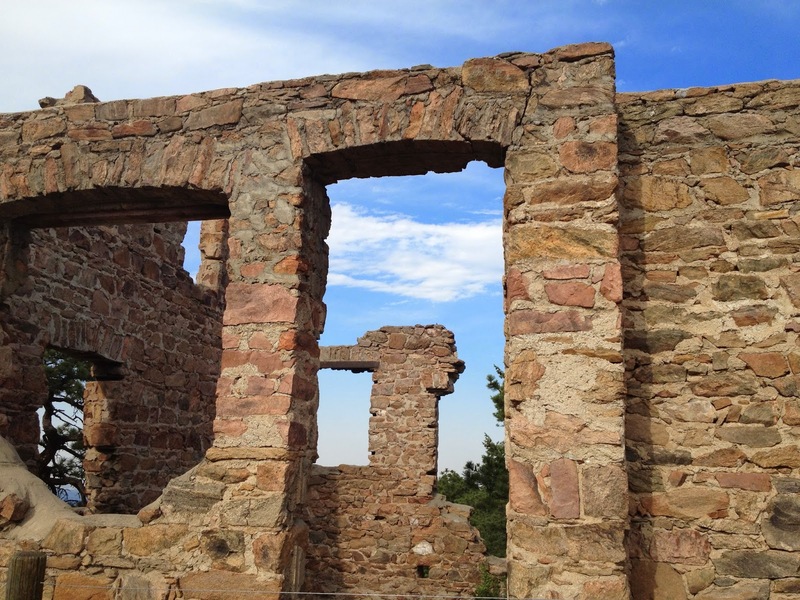 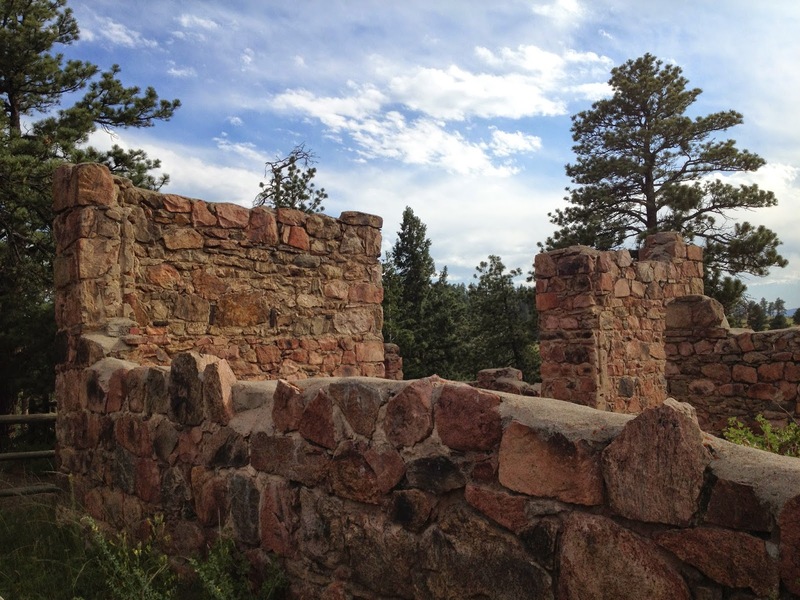 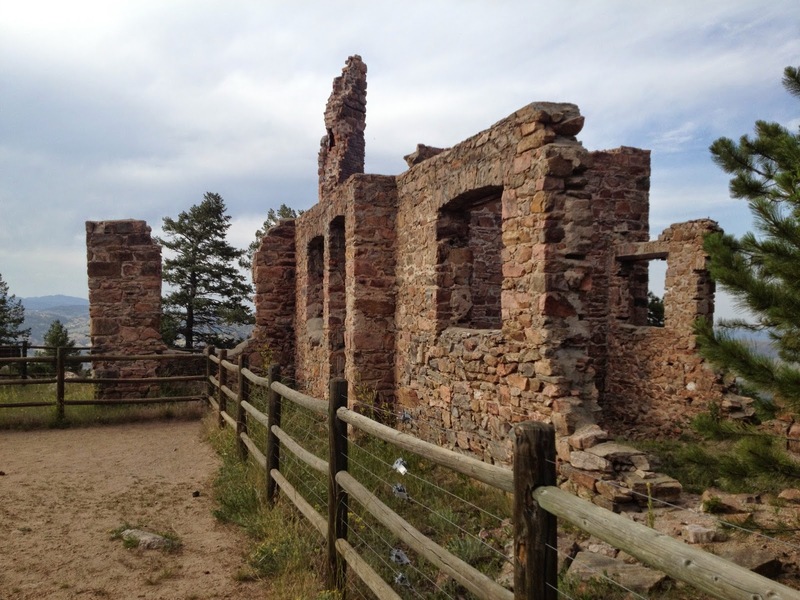 Start out at the main parking area and follow the Castle Trail down past the Walker Home Ruins. 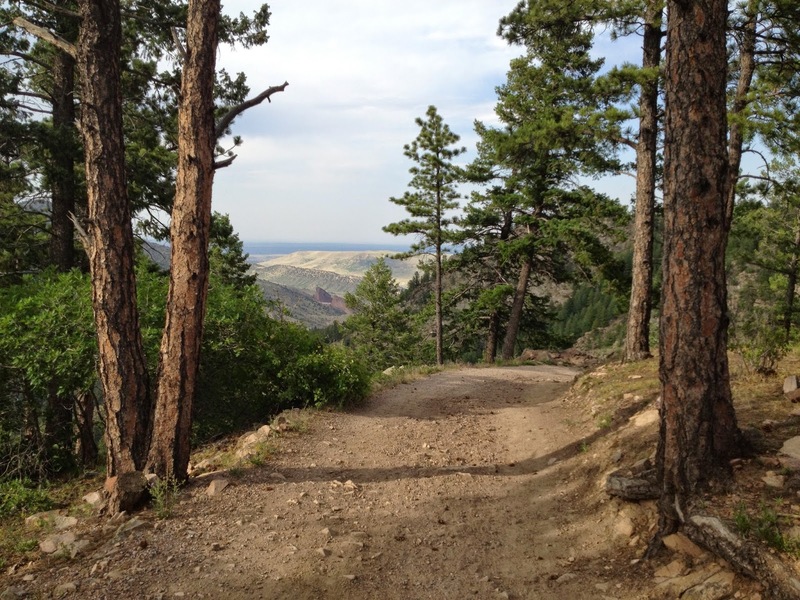 When you get to the junction with the Walker's Dream Trail, hang a right onto the Two Dog Trail. 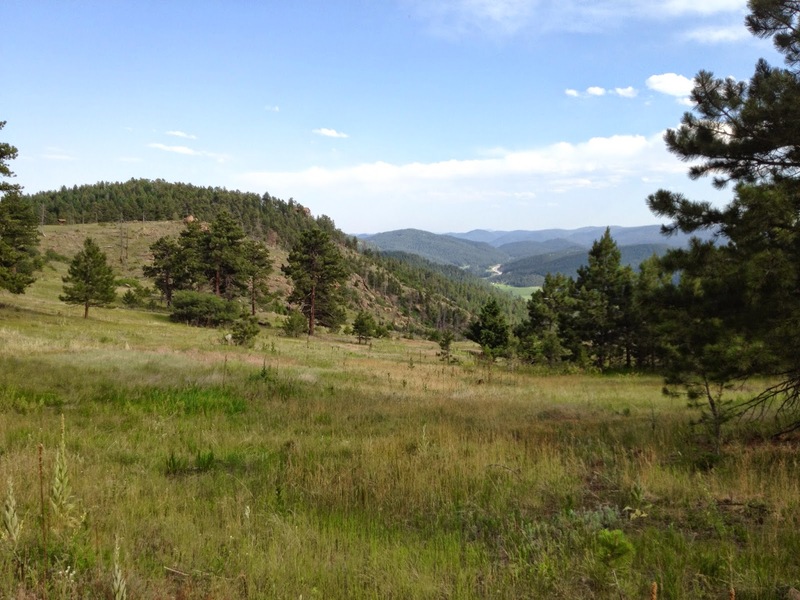 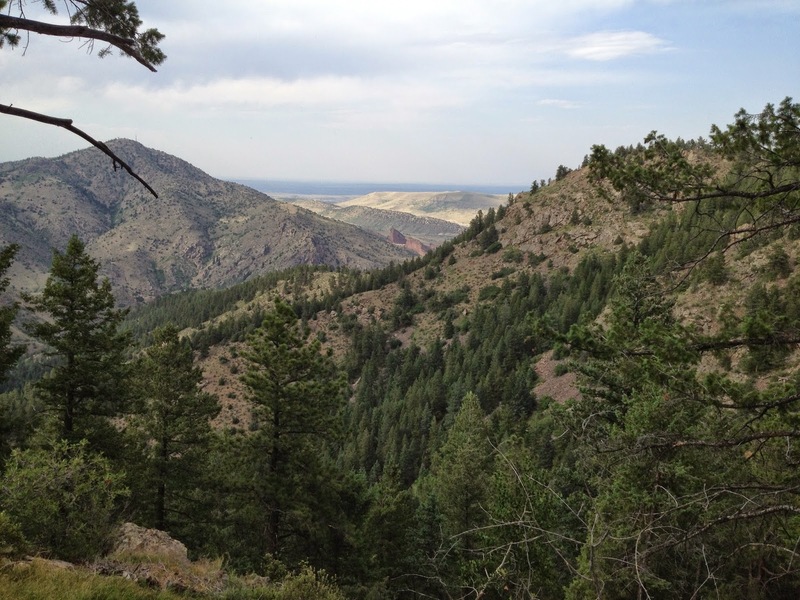 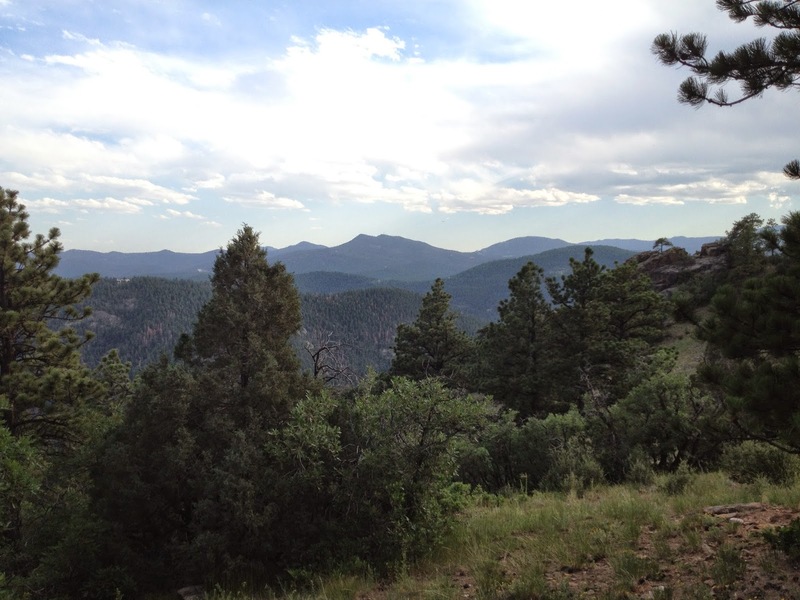 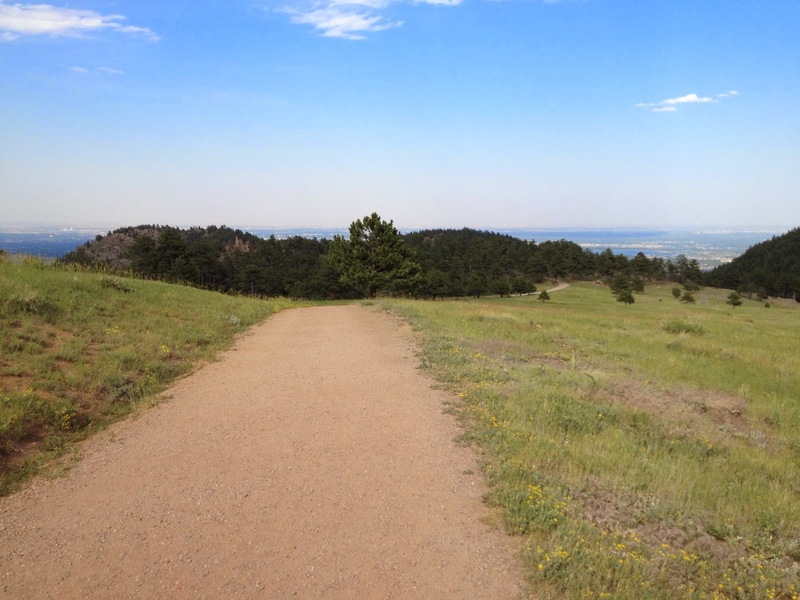 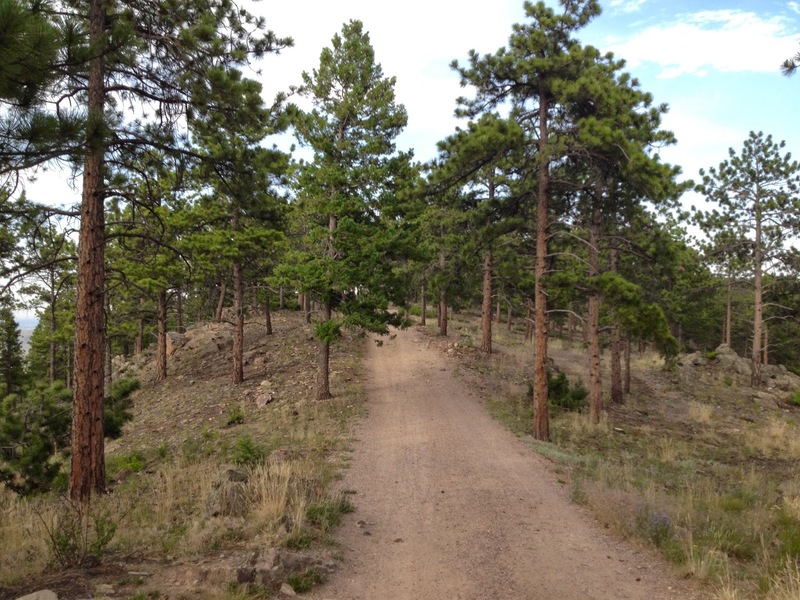 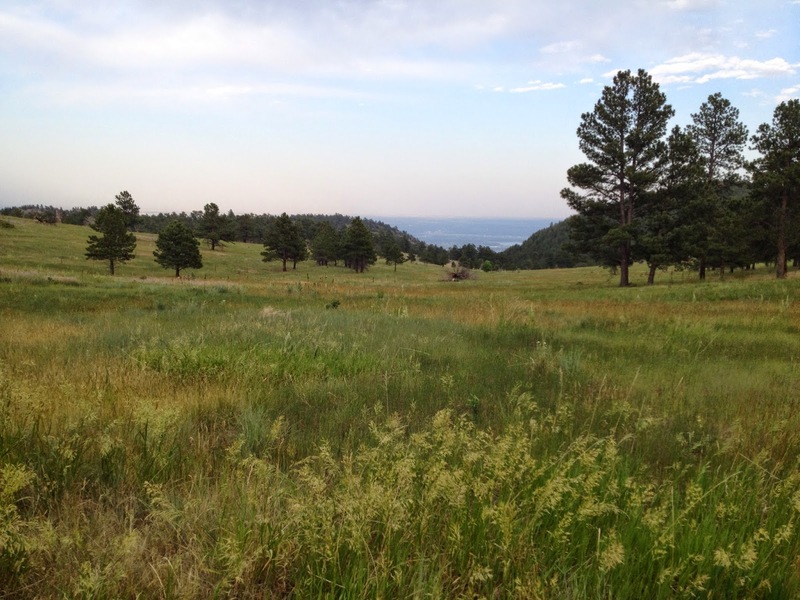 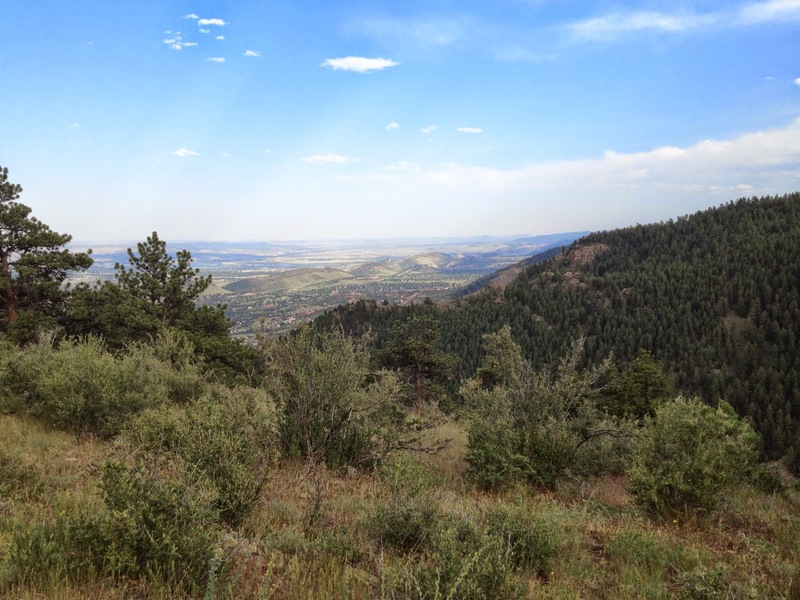 Take this trail for .3 miles to a fantastic viewpoint looking south east down the foothills and into Douglas County. 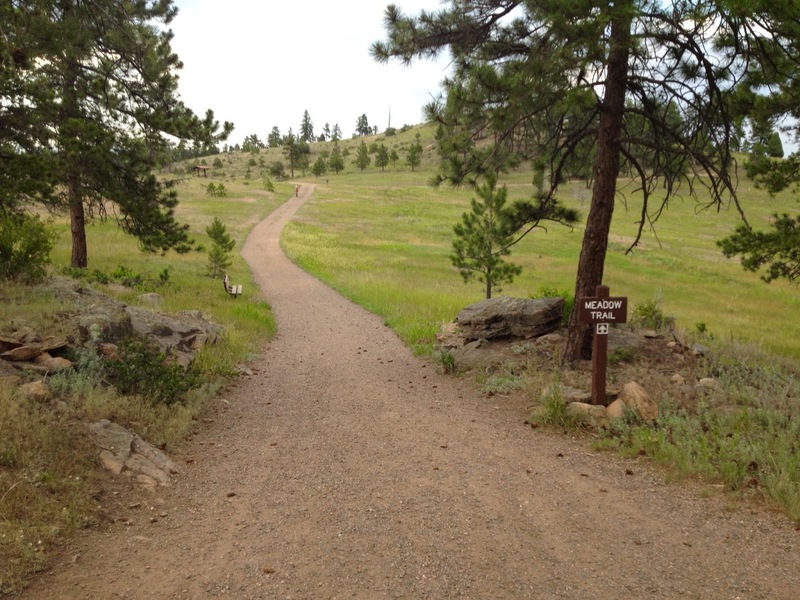 Head back along the Two Dog Trail and the Castle Trail and make a left onto the Meadow Trail. 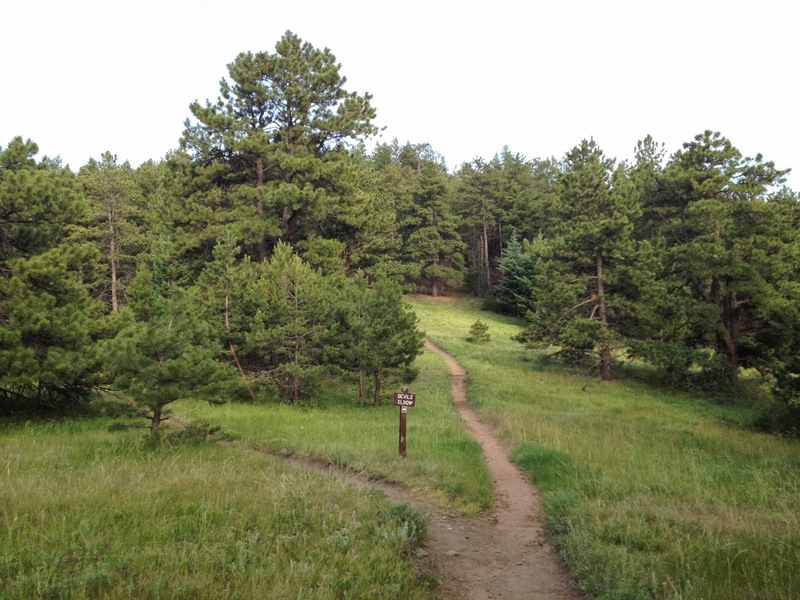 The Meadow Trail takes you to a 5 point intersection, make a left onto the Old Ute Trail. 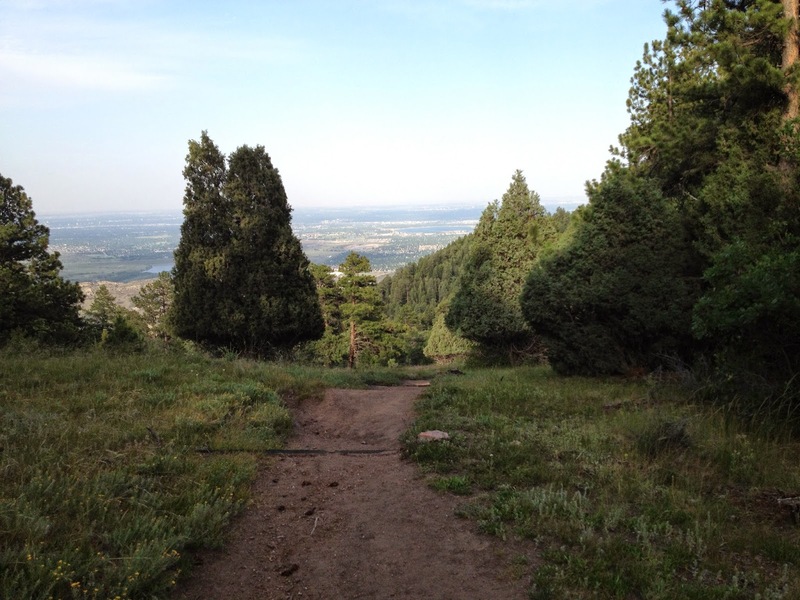 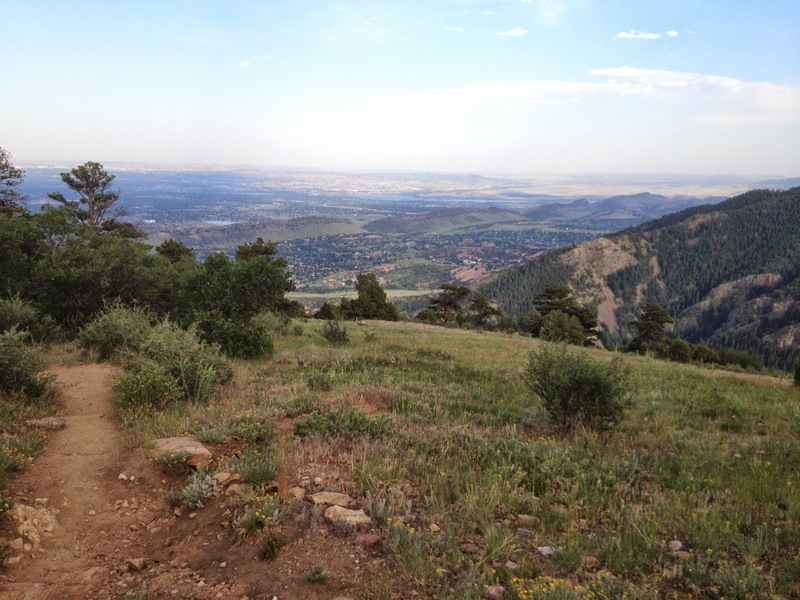 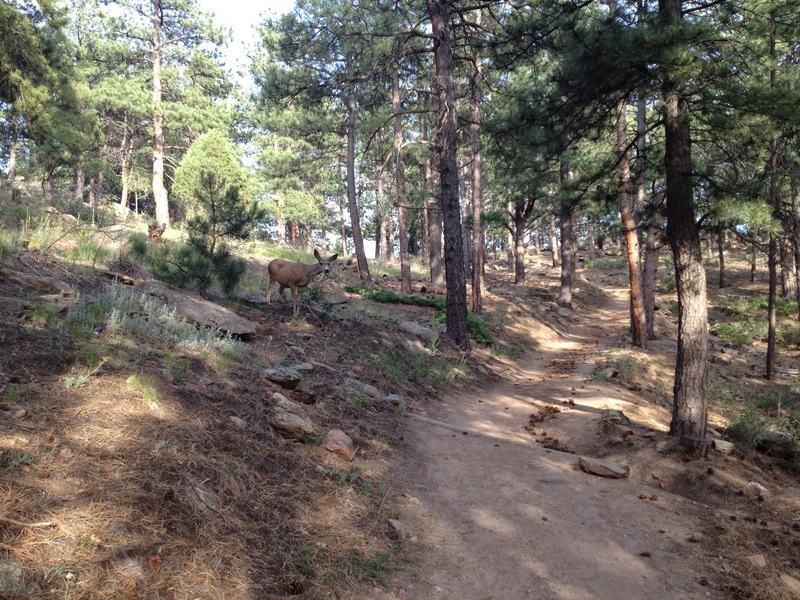 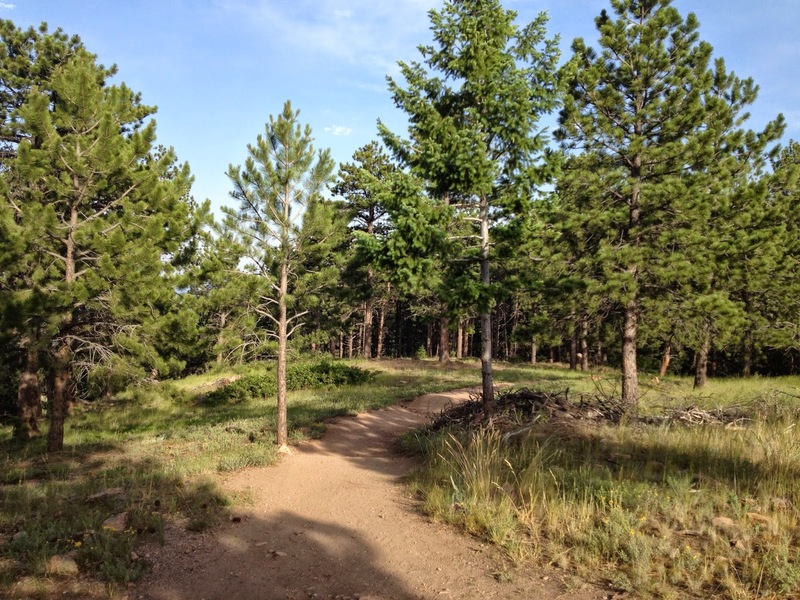 The Old Ute Trail is a small loop, sticking to the right takes you on a steady uphill trail. 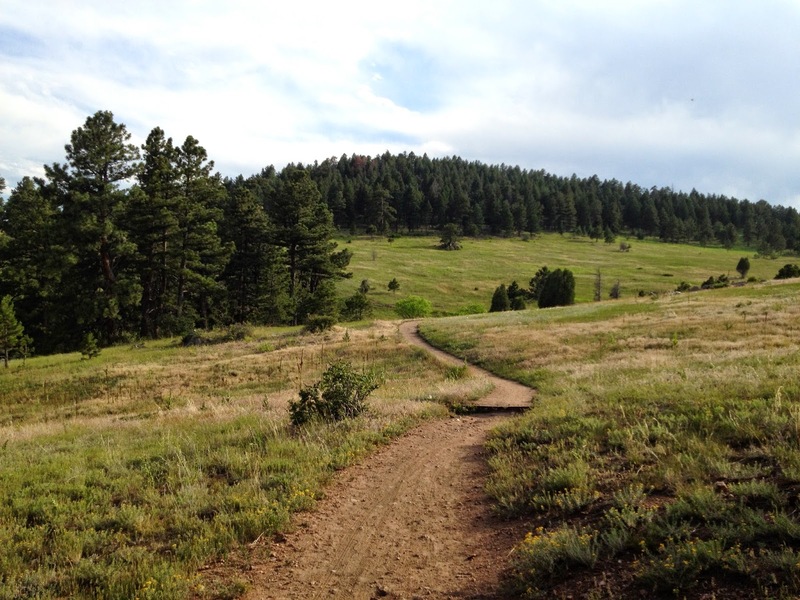 When the trails meet continue straight to the Devil's Elbow Loop. 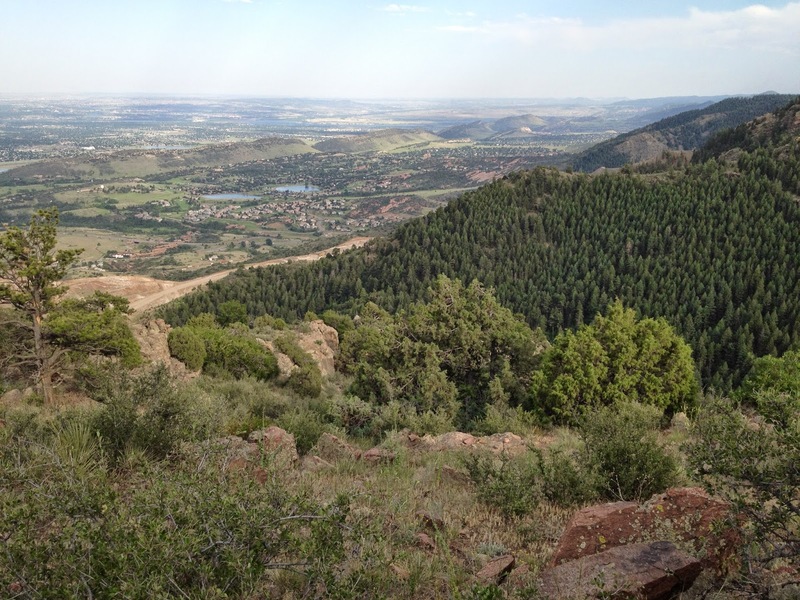 At the end of the Devil's Loop Trail you are rewarded with another fantastic southeasterly viewpoint. 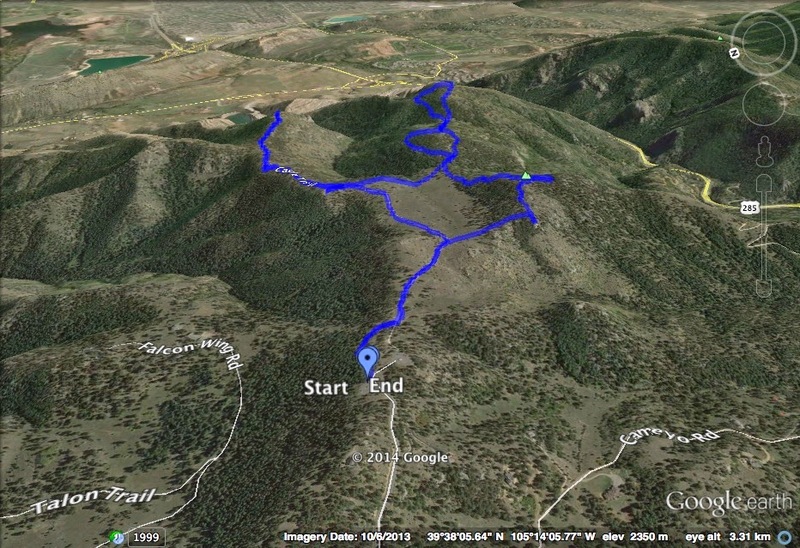 Retrace your steps, completing the two small loops, and when you get back to the 5 point junction take the Tower Trail. 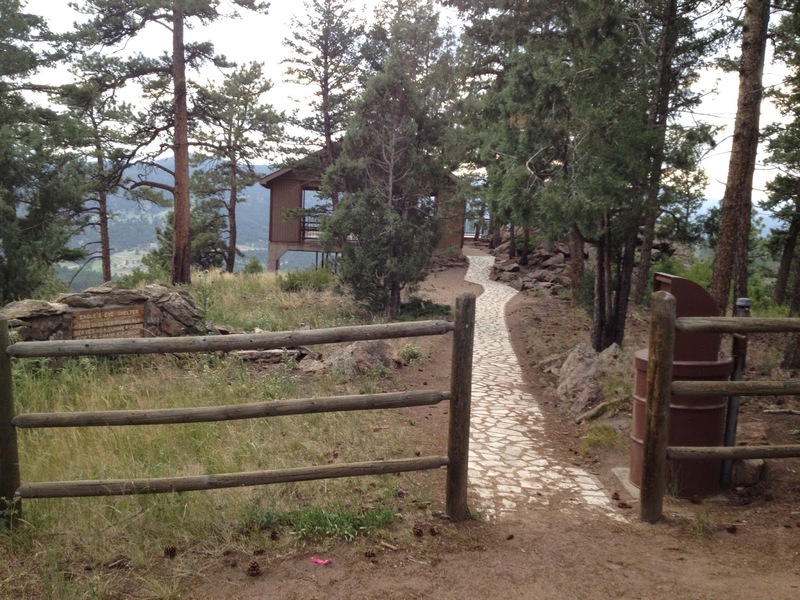 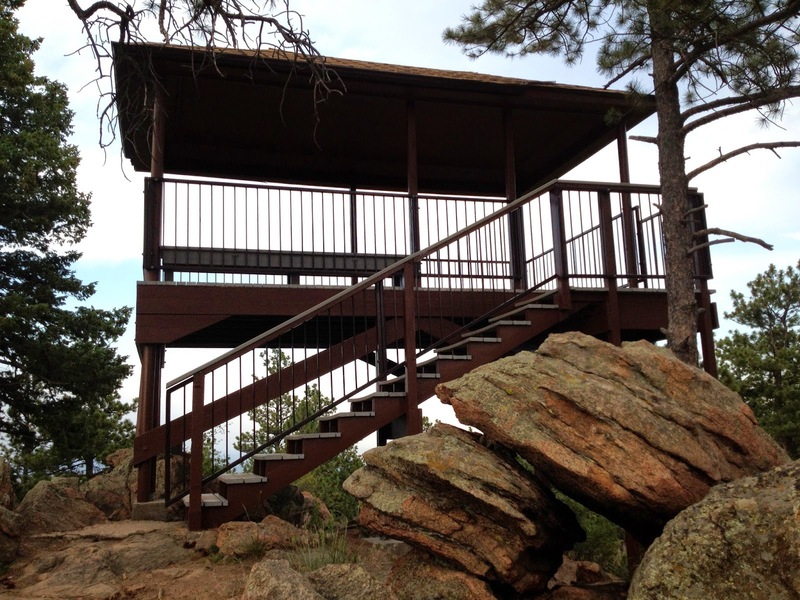 The Tower Trail takes you up to the Eagle Eye Shelter and the lookout tower for your third and last fantastic lookout. 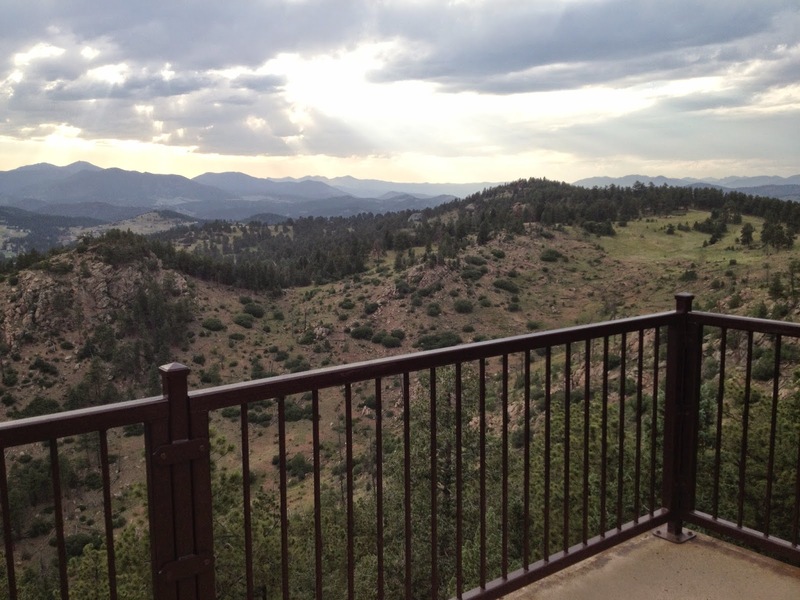 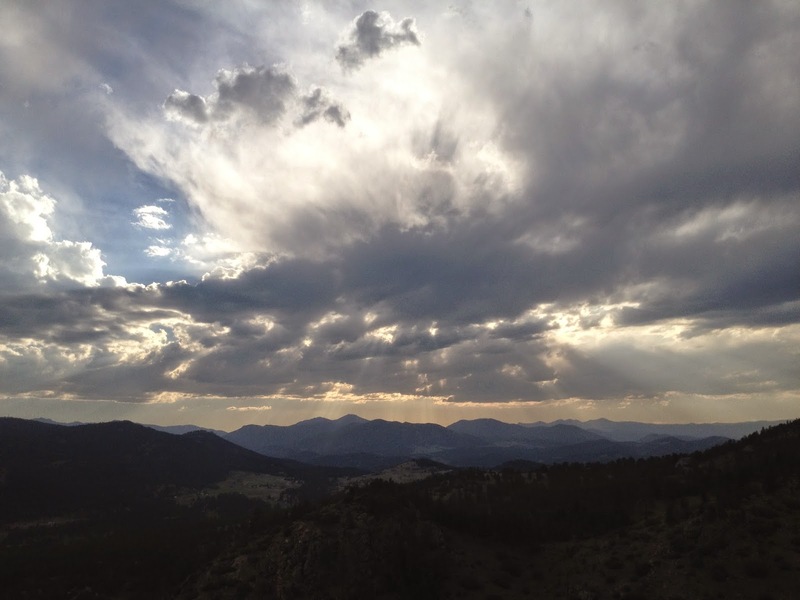 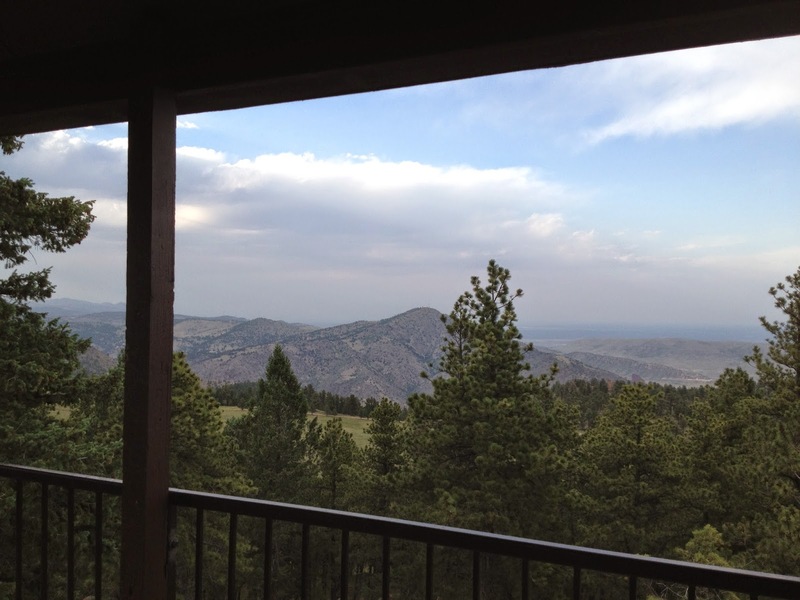 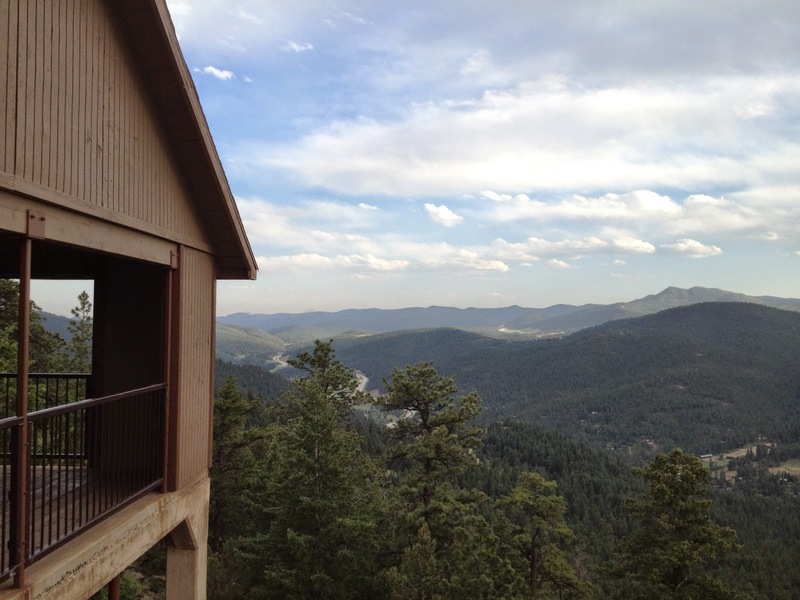 This view is a westerly view and if the weather is good you'll get a glimpse of Mount Evans and the Continental Divide. 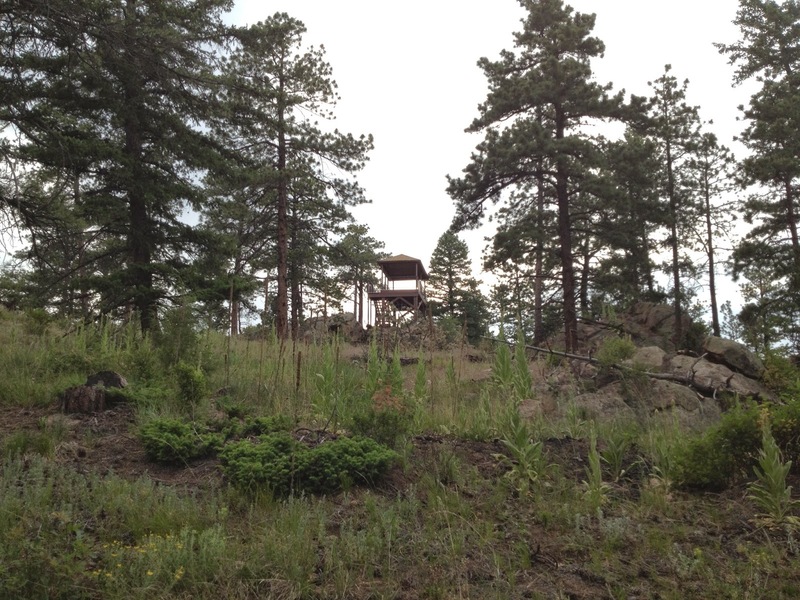 From the shelter and lookout tower head down the Tower Trail back to the Castle Trail which leads back to the parking area. 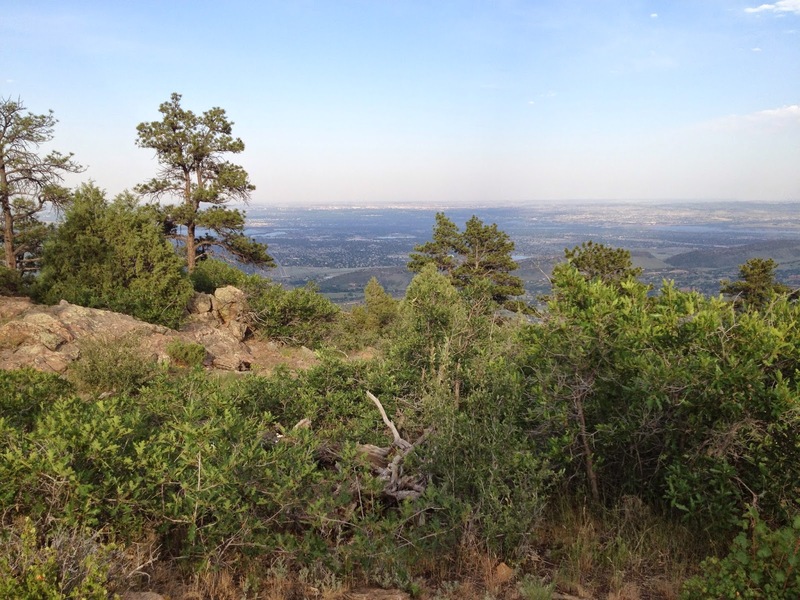 Three great viewpoints in one great hike.